"I was working out on my own, and I was getting bored, I was getting a little lazy, and I was hitting the showers a little earlier than I should. I had heard nothing but good things about Mint Condition Fitness, so I came in. I immediately started working out two to three times harder than I had been and I started seeing results right off the bat. My desire, my want – my need – to do this has paid off in spades. When I first came in, I could barely do a squat. In fact, I couldn’t, my left knee was so weak. I have arthritis in the left knee, no cartilage, bone on bone! I can squat now, I can do lunges. I’m climbing stairs again, and going down stairs, which is even harder. Besides that, I just feel better, I’m in better shape, and I’m down to my fighting weight. Having a coach just pushes you, you go to your limits and beyond, because someone believes in you and your capabilities, and is keeping you safe while doing it. Here’s what I’ll tell you: Mint is not cheap, but it’s worth it, and you’re worth it. Just join up, it’s a move you won’t regret, unless it’s that you’re kicking yourself for not having done it sooner." LOST 22 LBS OF FAT! "Being a nurse, taking care of patients, and being obese is not setting a very good example, especially when you’re trying to teach somebody to lead a healthier lifestyle. I made the decision to get healthy for me and my family this year, so I could be a better mom, a better wife, and a better nurse. Since starting my program at Mint Condition, I’m stronger with more energy. I’m feeling good and looking good! I enjoy the semi-private sessions because of the camaraderie and being able to push one another, and having the trainer expertise there to show you how to do the workouts. It also helps you to be more accountable, knowing someone is waiting for you two or three times a week! So rain or shine, I will be here. Even if your fitness level is non-existent at this point, give Mint a try! They will cater to where you’re starting and get you to where you want to be." 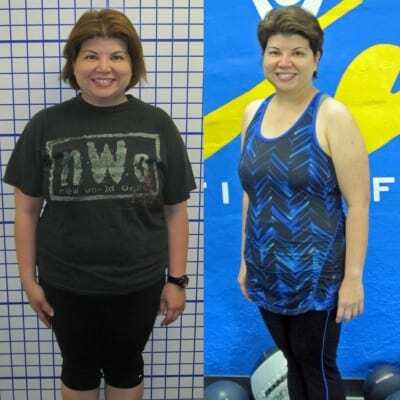 "I came to Mint Condition 6 months ago because I was overweight, having stomach problems, felt terrible, didn’t like the way I looked and was having problems with muscle spasms in my back. I kept hearing how much my brother was getting out of his workouts here and how much Colin had already helped him with his shoulder rehab so I knew I had to give this a try. After meeting with Colin and Bradley, they got me started on my exercise program and helped me to start forming new habits! While some of these have been hard, once I saw the change in how I felt it was easy to see why these new habits were going to stay a part of my life. I look forward to my weekly workouts and I feel so good once I’m done. I always get positive feedback from Bradley and am thankful that he puts up with my complaining. It felt so good to start seeing the improvements in my weight, measurements, flexibility…everything. I have also really enjoyed the workout of the day (WOD). While they are usually pretty demanding, it is such an incentive to see your name on the leaderboard at the gym. Who knew I could get first on the rower?! Now, 6 months later I’m 17 lbs lighter, have not had any muscle spasms in my back in months, and I feel so much stronger and happier. It feels great when others around me at work have noticed the change in me! Mint Condition is definitely a place that I would recommend to people. They truly care about you and everyone at the gym is so friendly. Thanks Colin and Bradley!" 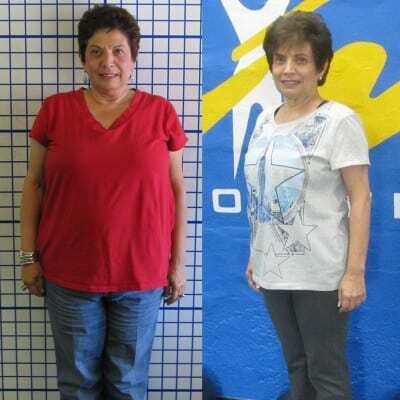 "I cannot really remember when my weight loss journey began because, honestly, it has been a struggle all my life. 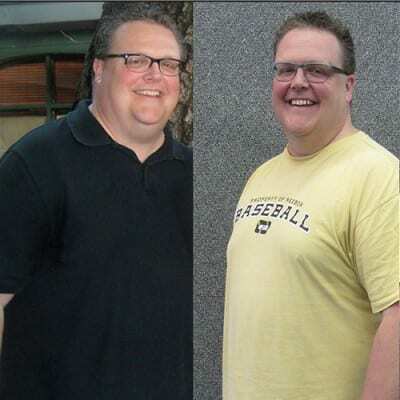 For me, the ‘Yo-Yo’ syndrome was a constant, starting with another fad diet and ending with another round of weight gain, eventually ballooning me up to 300 lbs at one point. 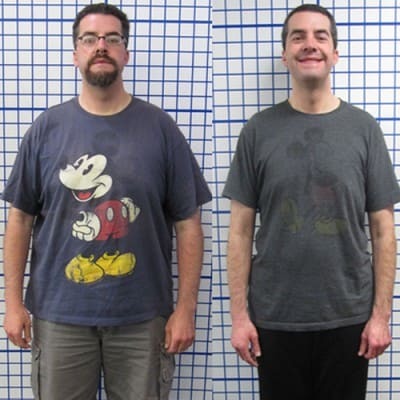 So, after trying almost everything, my success story started with the introduction to Nutrisystem as a cost-effective way to regain control over my eating patterns. To my surprise, the food was quite good and I started to see results! The real turning point for me, however, was when I ended a toxic relationship and realized that it was time to focus on ME. After years feeling emotionally drained, I could finally focus my efforts on getting the ‘real’ me back. Going in with much trepidation, I met Colin and Brad. These are two of the nicest and most real trainers I have ever encountered. No hard sell, no gimmicks (thank goodness! ), just great training and great people. What really helped me was that they seem to have a variety of price points so that even as an educator I was still able to join and train with them. What has probably been most significant about my time at Mint Condition is how my relationship with exercise has changed. When it comes right down to it, I have never liked exercise. For years, I would talk myself out of doing the one thing that would ensure a leaner and stronger person. Sure, I had my gym membership that would be dusted off a couple times a month, but overall, I just could not commit. Fast forward to today and I can confidently say that I have found an exercise routine that really fits my needs. I am a group member at Mint Condition and I could not be more pleased! 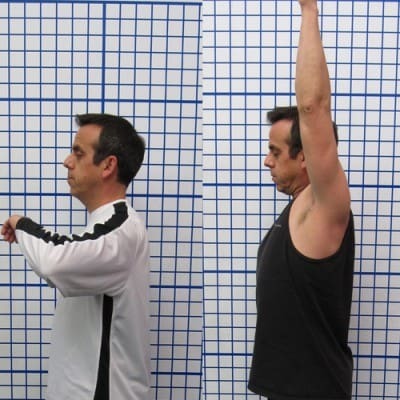 The training sessions focus on key areas of the body, switch every few weeks (excellent muscle trickery! ), and are less than an hour (love that!). The best part about the exercises is that most of them can also be done at home on your own time. Here is the bottom line: I went from a high of 300 lbs. to 204 lbs. today. When I first started at Mint Condition, I had a 44-46 waistline and XXL shirts were still a close friend. Within a year, I had a 38 waistline. This is the absolute craziest part: I can proudly state that I am wearing L shirts. WHAT?? I find myself having more energy which is greatly needed in the classroom on a daily basis. I am getting stronger and more athletic, which allows me to crank up the intensity. Food is no longer my co-dependent; it is a love that I get to enjoy each day. BTW – I am talking about REAL food. Nutrisystem ended for me several months ago. Now is all about portion control and substitutions. 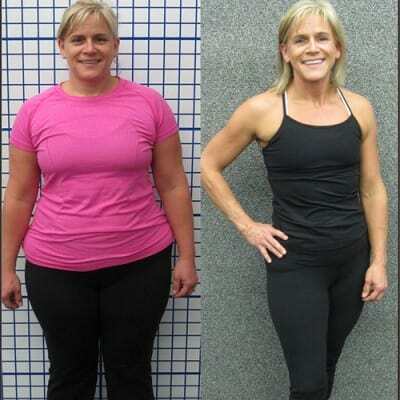 "First, I just want to say thank you to everyone at Mint Condition Fitness. I had gains and losses at your Transformation Challenge. From the very first get together — I gained motivation, friendship and a plan!!!! Each day I attended my interval class with my trainer and with my fellow class mates I gained encouragement and the desire to support my classmates. I gained confidence that I could achieve my goal. I gained the confidence to work out at the gym and walk more and explored other ways to exercise when I wasn’t in the gym. I gained the confidence to avoid food and drink that compromised me achieving my goal. I lost pounds and inches and I gained the confidence to continue this healthy life style for the rest of my life!!!!! I want to thank Colin for having this program because Mint Condition gives us a safe, wholesome, and happy environment to get our healthy lifestyle back!!!" Strength: Went from 12 squats to 36! LOST 15 LBS + FEELS LIMITLESS! "When I first came to Mint Condition, I was looking for a place to help me get refocused on myself. I have had a lot of starts and stops when it comes to working out, but I knew how great I would feel if I just got back into it. Since starting my program, I have been so proud of the changes I have been able to make! I feel stronger, I am standing taller, and I just look more toned and feel more confident. I think the best thing though is that I really feel that there is nothing that can limit me now. I can push through those moments in my workout where I am struggling and I don’t think I can keep going, but I do. And when that happens, it makes me realized that I can achieve more in all aspects of my life. I think what has really made this experience special for me is that I truly feel cared about. Mint Condition is the kind of place where people really want to get to know you and care about you. When you come in, they are genuinely happy to see you and only want the best for you. When I walk in, I feel at home. This is why I cannot recommend Mint Condition enough! I tell all my friends and co-workers and try to help to understand just how unique this place is. It’s the only gym I know of where you get to be alone with your workout, but not lonely with your workout. What I mean is that you don’t feel like you are on display and that everyone is just watching you. It’s just you, your trainer, and the other people working out. It’s a perfect balance between a preconized program and having a supportive group of people always encouraging your and helping you to achieve you best. Strength: Went from 12 to 17 push ups! LOST 23 LBS + CAN TOUCH HIS TOES! 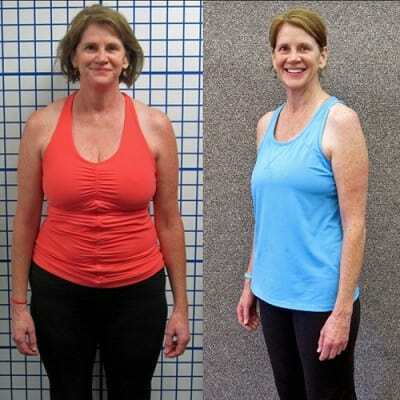 "After a slow but steady weight gain over a 30 year period of time, I decided, with my lovely wife’s help, to begin regular workouts with Mint Condition Fitness. My goal was to lose weight and inches around the middle, gain flexibility, and improve overall strength and balance. 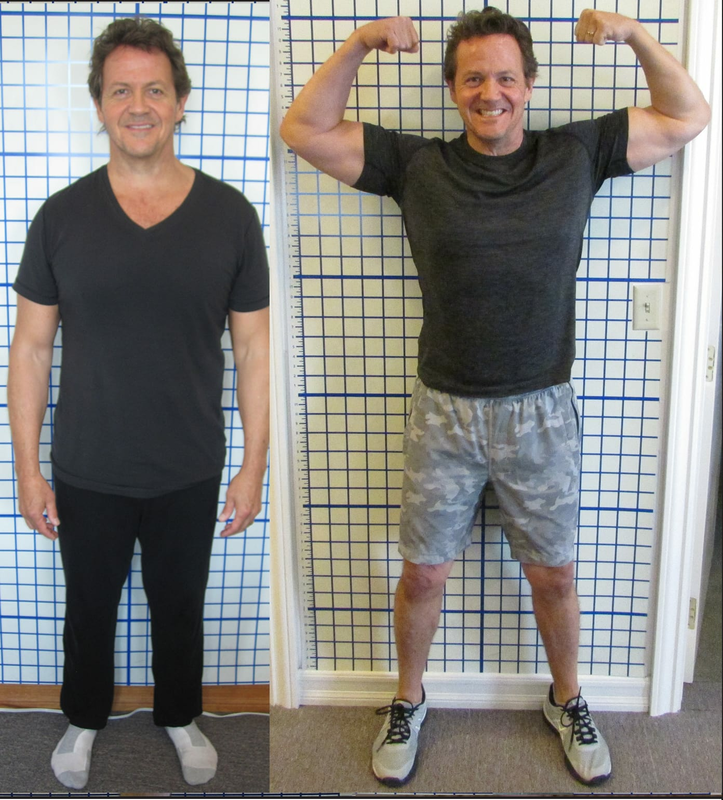 We began slowly, introducing exercises that lead me to nickname our trainer, Colin, the ‘Prince of Pain.’ The real breakthrough came when Colin helped me to make a fundamental change in diet that led to significant weight loss. And while I thought this new approach (not really a diet, but more of a lifestyle change) would leave me hungry – leading to Colin’s other nickname – the ‘Harbinger of Hunger’ – this was not the case. It turns out that protein and veggies, washed down by excellent wine, can be quite filling! Since the beginning, Colin has been focused on implementing a specific program designed to meet my needs, and real progress has been made. Nine months into the exercise routine and diet, I have been able to lose 23 lbs. and 4 inches around the middle, and keep it off. Not only have I made progress in my weight and girth, but strength, flexibility and balance as well." 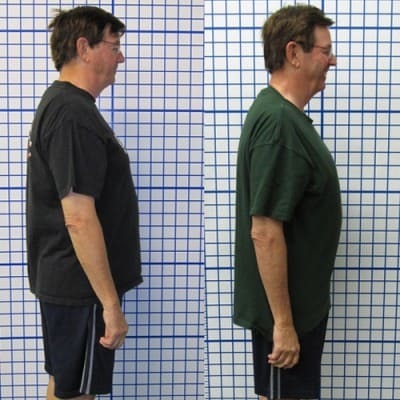 When I came to Mint Condition I didn’t need to lose weight and I had a clean bill of health. I truly loved my life, but I couldn’t say that I really “felt great.” I had no upper body strength, very little stamina, and I knew I needed exercise. I met with Colin first, and we established that to me, it was most important to be strong. Not to just feel or look strong, but to be functionally strong. I wanted to be able to face the physical challenges of everyday life, and of aging, confidently and energetically. Once started, I rapidly learned the difference between “working out” at a gym, and training with a professional fitness coach. 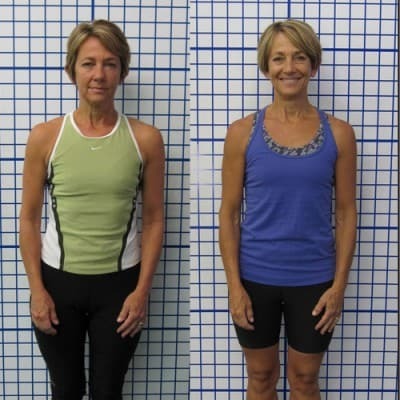 My trainer concentrated on core strength from the beginning, and as I continued with training, I felt my overall strength and balance improve dramatically. I truly enjoy going to my sessions and although I have certainly reached my goal of being strong, my trainer continues to encourage and push me to always improve. I can always be stronger, and the stronger I am now, the longer I will avoid many of the pains and physical difficulties people encounter as they age. Clothing: went down 2 pant sizes! 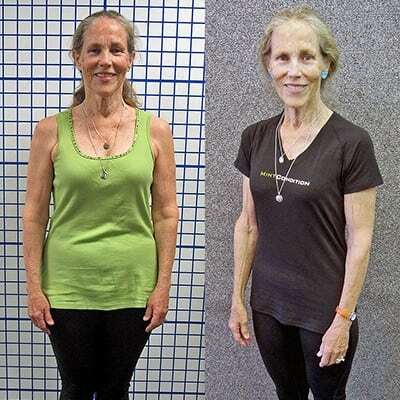 While I had always felt in pretty good shape, I knew, at age 54, that things could go downhill quickly and I wasn’t feeling as strong, toned or motivated as I had in the past. After my evaluation, they had me! My weight had crept up, my body fat was higher than I expected and I had lost quite a bit of mobility in an ankle I had injured. I set some modest goals – to slim my hips and thighs, lose body fat and a few pounds, and look and feel stronger. 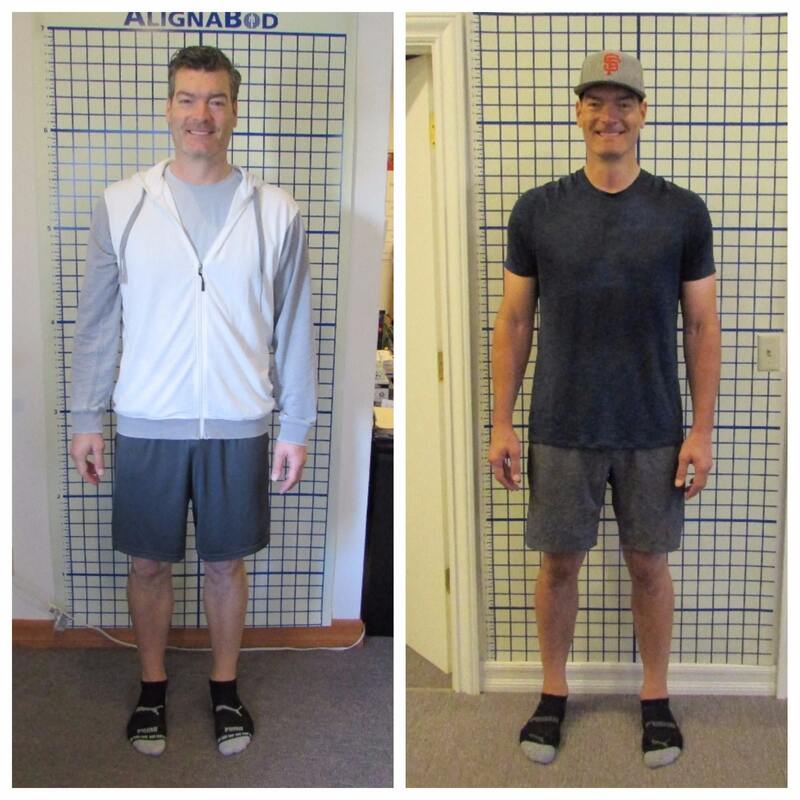 Bradley, my trainer, set up a training regimen that focused on my goals – it’s not a generic program but rather one that is tailored to me. His training expertise, along with his sense of humor when I complain, has been the key to keeping me on track and getting the results I want. By the end of my first year, I reduced my body fat from 23% to just above 15%, met my weight goal, went down two pants sizes, and I feel incredible. A great side benefit is the compliments I get from friends about how strong I look! My husband and son have both joined Mint Condition because of my enthusiasm and results, and I have signed up for another year. I actually look forward to my 6:00 AM sessions! I highly recommend Mint Condition for anyone who wants to lose weight, improve performance, or just get strong and fit. Where to start? I guess it would be by thanking Mint Condition for giving me my active life back! Thank you so much Colin and Bradley for your knowledge, encouragement, and passion for what you do: giving people the tools to live a fit and healthy life. My story started with a bad mountain bike accident that left me with a dislocated shoulder, torn labrum, and ligament and tendon damage. Two surgeries and 18 months of physical therapy later I was left with only about 60% mobility. Prior to my accident I was a pretty active person, rode about 100 miles a week and would be at the gym at least two times a week and also enjoyed wall climbing and snowboarding as often as possible, but that had all come to a complete stop during this 18 months and it showed physically and mentally. So, one day I decided enough was enough; that there had to be something out there to help me. I did a web search for personal trainers to see if they had any thoughts or ideas of what, if anything, could be done to rehab my shoulder. After making about 10 to 12 calls and speaking to various types of ‘trainers,’ I decided to go with Mint Condition because when I spoke to most of these trainers they seemed disinterested in what I was dealing with and only wanted me to come and sign up. When I spoke to Colin he asked as many or possibly more questions than I did. We had a long discussion about the history of my injury, therapy, where I currently was with mobility, and what I was hoping to regain. Colin designed a program for me that involved exercises with a lot of stretching and balancing, which, to my surprise, turned out to be quite challenging. Over the weeks the programs changed and different exercises were introduced and within the first 6 weeks I picked up over 10% more mobility and it just got better every week. There were times where I physically and mentally struggled but Colin and Bradley were right there with support and encouragement to give me the drive to push forward. I am now at what I think is very close to 100% with very little discomfort at full range of motion, something I never imagined could be. When I started with Mint Condition my plan was just to rehab my shoulder, but my experience there has been incredible so I have stayed on and continued to train, learn, and grow. I have already referred three people to them and will always recommend them to anybody wanting to live a healthier life style. With the positive atmosphere and supportive and knowledgeable staff, only good things can come to anyone who walks through their door. Strength: Went from 10 seconds to 90 seconds in his plank! After years of slowly gaining weight, I knew it was time to make a change when I found myself getting winded trying to put on my socks. I was the heaviest I had ever been, and I knew I needed help. 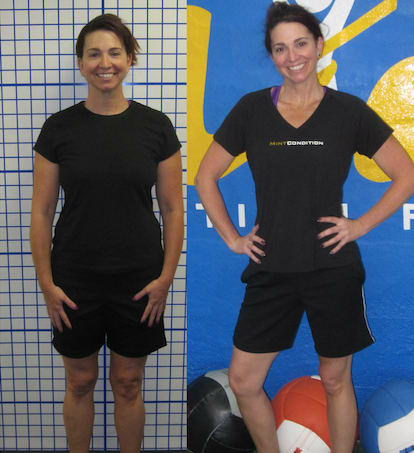 Since joining Mint Condition Fitness, I have made so many positive changes in my life. I have learned how to move, how to eat, how to workout (properly), and have built a confidence that I have long been without. I have now lost over 25 lbs., but to me, the most exciting thing is that I feel in CONTROL. I dictate my weight, and because of that, I know I will continue to make progress. The best part of about Mint Condition Fitness is the accountability and support. I feel great every time I come in and I feel even better when I leave. The trainers are all awesome, they support you ever step of the way, and the really make you feel good about who you are and what you are capable of. If I had to say one thing to someone who was on the fence about joining this program it would be this: get off the fence, it will change your life. Thanks so much for everything team MCF! Before I came to Mint Condition, I was struggling with a herniated disc in my back and a foot surgery that was slow to recover. It was becoming difficult to exercise, my weight kept creeping up, and the pain from my injuries kept getting worse. My main form of exercise was in a group exercise class, but the program was not designed for me and I had to modify most of the exercises. I was getting frustrated and felt like I would never get back in shape. A good friend of mine called and spoke very highly about her experience with Mint Condition. I decided I had to do something! I met with Colin and had an extensive meeting about my injuries. He took me through an assessment and after talking, we put together a game plan! Even my physical therapist was impressed by Colin’s program. As I started to train, I began to feel my core and back muscles getting stronger. I felt that every time I came in, they would challenge me just enough to make progress, never making me feel that I was just modifying an exercise. They were also very focused on helping me lose weight, counseling and encouraging me to build positive habits to help lose weight. I felt I finally found a group that took all aspects of my life into consideration and put together a program that was sustainable! I also took advantage of meeting with their sports psychologist, Adam, who helped me set reasonable goals that kept me motivated. Now, 9 months later, my body has changed dramatically—people don’t even recognize me! I have changed my way of eating (not a diet) with life-long healthy habits along with a fitness plan for each week. I have lost over 60 lbs. and no longer have back pain. I feel strong and fit! Bradley, Colin, and Kendra are an excellent team that helped me achieve the impossible! Mint Condition has set me up for success and I have never been so happy or seen such wonderful results. Thank you guys!